Following is a collection of newspaper articles, published primarily in the Dallas Morning News over the past 80 years, relating to events, features and stories on Ramsey Avenue. If you have any additional stories or photographs of the time, please drop us a note and we will be happy to include your material. “A den, finished in knotty pine and containing built-in shelves of the same material, will be built on the south side of Mr. and Mrs. Avery Mays' new home at 1510 Seevers, near Iowa, A.D. Hinman, architect, said Saturday. The den will open off the living room. The cottage will face west and will contain two bedrooms, living room, dining room, and kitchen. One bedroom will be built over the two-car garage at the southeast corner. Small gables, a covered porch, and trim latticework will give the front a typical colonial appearance. The exterior will be of brick veneer and the interior will be of sheetrock and textone. It is due to be completed about Oct. 30.” (©Dallas Morning News, August 28, 1938, Section I, Page 13). 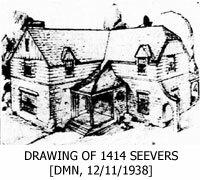 “Attractive interior color schemes will mark the new home being built for Mr. and Mrs. Jack Barr at 1414 Seevers in the Beckley Club Addition, a sketch of which is shown above. The cost will be $10,000. Living and dining rooms will be done in Swedish modern, with the living room in off-white and the dining room in blue and off-white. The kitchen will be white with red and black accents and will have modern enamel steel cabinets. The bed wall of the master bedroom will be mulberry with off-white for the rest of the room. Off-white also will be used in the guest bedroom while the den will be in tobacco brown. Of English design, the house will be of white Austin sawed stone and will be air-conditioned. The main entrance will feature a spider web grill. E.H. Blocker is the architect.” (©Dallas Morning News, December 11, 1938, Section I, Page 14). “By Ruby Clayton McKee, Society and Club Editor of The News - A wonderful, Christian woman: That is the way members of the Landrum Sunday School Class at First Methodist Church describe their teacher, Mrs. Lynn W. Landrum. Mrs. Landrum will be honored Tuesday when the class celebrates its twenty-eighth anniversary with a party at the home of Mrs. Leslie E. Chick, president, in Richardson. "Our teacher is a woman who shows each of us, and others, love and affection and teaches love in her lessons," said Mrs. Henry J. Landrum, no relation but a long-time friend and past president of the group. The teacher has been a member of the First Methodist Church for 34 years. She began teaching several mothers whose children were in the church nursery. Later the group organized and became the Young Mothers Class. As the years passed and their children grew up, members decided to change the name, so they became the Landrum Class in honor of their leader. Mrs. Landrum's devotion to her work is seen in her record of teaching. She hasn't missed teaching her class more than six Sundays during the 31 years. Preparations for class start a week in advance and each Sunday evening she is at work on the next lesson. The class has 176 active members. Mrs. Landrum can call them all by their first names and knows their families. Showing their affection, three years ago the class had Mrs. J.G. Loving paint a portrait of Mrs. Landrum as a gift on the class' anniversary. The portrait hangs in the classroom today. "Lynn Landrum, for 23 years editorial columnist for The Dallas Morning News, died Thursday night. He was 70 years old. Mr. Landrum died at 8:40 p.m. in St. Paul Hospital. He had been stricken by a heart attack Tuesday night at his home, 1507 Seevers - which he fondly referred to in his columns as "Billy Goat Hill”. Past time for regular retirement, Mr. Landrum never, personally, liked the idea of giving up news papering so long as he had something to say. And the "Columntator" always had something to write. He wrote with strong conviction in controversies. His readers either damned him, or hymned him. But they read him. And no one who knew him believed that he ever hated anyone, never wrote a word that he didn't believe in his heart and mind was Gospel true. He had a way of needling readers into thinking, a knack for making many of them mad. But younger colleagues, many of them from a generation that wasn't born when he was first an editor, received encouragement from him. He had been a member of The News staff since 1921, with five years out during the mid-30s to be chief editorial writer for the then News-owned Dallas Journal. His newspaper career was interrupted by service in two world wars. A tall, alert, broad-shouldered man, Mr. Landrum wore the battered green eyeshade and dark suit of the newspaperman of The Old School. His writing style reflected simplicity, sincerity; it could seethe with righteous indignation or deal serenely with homey subjects. [...] Lynn W. Landrum, a kindly and genial gentleman, ran head-on into seething controversy in his column, Thinking Out Loud, a fixture in The Dallas News since 1938. [...] By his own admission, Mr. Landrum had been a printer, laborer, soldier, harvest hand, waiter, coal heaver and lawyer. But first and foremost he was a newspaper editorial writer. Even his dress - the green eyeshade, bow ties and dark suits - was the hallmark of the editors of his generation. Professionally, Mr. Landrum was a debater, in print and in speech and he gave no quarter, especially when he leveled down on people like the late President Franklin Roosevelt, Eleanor Roosevelt and her sons, Pappy O'Daniel, Ralph Yarborough, Harry Truman, Dean Acheson, the New Deal, the Fair Deal and The New Frontier. On the other hand, he was quick to pass out editorial bouquets when he felt the occasion or person merited it. Mr. Landrum, the Columntator as he called himself, delighted in getting letters from his readers, especially those who opposed him. He had been called a Wall Street Communist, a Catholic rabbi and "the brightest mind of the Eighteenth Century”. He once made a talk quoting some of the letters and has his audience howling with excerpts: "Hell waits for such a man as you." "I have learned that you are a dried-up wiggle tail with no backbone, no social standing and a smart Ellic..." Another said Mr. Landrum reminded him of something Frank Buck had brought back from the Malayan jungles. Born in Whitewright August 24, 1891, he often equated such column subjects as juvenile delinquency, the modern school system, and the businessman's sole to his upbringing in the small Grayson county town. His parents were Dr. and Mrs. S.H. Landrum. He attended public and private schools in Texas and Tennessee, went to Miami University, Oxford, Ohio, and the University of Texas, where he was editor of the Daily Texan. Mr. Landrum with other "First Campers" was awarded his law degree from the university, for dissecting the campus to earn a World War I commission from the first officers training camp at Leon Springs, Texas, in 1917. He was discharged a first lieutenant in 1919. Before completing his education, he had gotten his first taste of the newspaper business, serving in various posts from printer's devil to editor of country newspapers in Texas and Oklahoma. Following the war, he again entered newspaper work on small town papers. He came to The News from Vernon, served it as an editorial writer until 1933, when he was made chief editorial writer of the old Dallas Evening Journal, then published by The News. When the Journal was sold in 1938, he came back to The News and inaugurated his column, Thinking Out Loud. He had a superb gift for blending the English language he used in this 6-day-a-week column, which ranged over such diverse subjects as plugs for Dallas civic projects (Love Field, the Trinity River Association), state and national politics and personalities, Communists in churches, his domino playing, and gardening at his home. He had readers who said they read his column every morning only so they could start their day off in a towering rage. With politics a favorite column subject, he was once called politically just a little to the right of the Neanderthal Man. World War II brought a second interruption to Mr. Landrum's newspaper career. He entered the Army in September 1942. Until 1943, he was in the officers’ procurement branch of the Eighth Service Command. Then, after attending a military government school at the University of Virginia, he was sent overseas for service in that branch in England, France, and Germany. He was discharged in December 1945, a lieutenant colonel and returned immediately to the News. A lay leader in the Methodist Church, he nevertheless trounced it on occasion for harboring pinks. A member of the First Methodist Church, he was also the only known member of the Episco-bapterian Church, which existed only in his column. With patriotic sense of civic duty, he never asked to be excused from jury duty and nudged the tax collector should he forget to bill him fully. He was married to Anna Belle May (familiar to his readers as the Little Lady as was their home at 1507 Seevers Ave., Billy Goat Hill). Their one son, Dr. Graham Landrum, is head of the English Department as Austin College, Sherman. Dead at 70, he has done, in a word, his duty exactly as he saw it, down to the last dot over an "i". He practiced what he preached. Mr. Landrum complies as requested last March to fill out a form for the Dallas News biographical department. Information on the forms is used as background material for future stories; many times he information isn't used in a story until the obituary writer makes use of it. Landrum had tacked a note to the backside of his filled-out blank and the note, reflecting good humor and detachment obviously was intended for the man whose job it would be to write his obituary. "Go easy with me, brother, when you write this up," he wrote. "The briefer you make it, the fewer squawks from my dissatisfied customers. I have been called a Wall Street Communist, a Catholic rabbi and the brightest mind of the Eighteenth Century - or was it the Seventeenth? I have written, I suppose, a half thousand obits in my time. When you write this one, it will mean that I then have written my last one. So there is hope for you, too. Some day you will have to write no more of them yourself. Until then, good luck. And thanks." (©Dallas Morning News, September 1, 1961, Section I, Page 1, and Page 10). Henry J. Voris lived at 1312 Seevers for more than 30 years. Voris was born in Kansas and lived in Dallas for 45 years. He served with the Dallas Police Department for 26 years and retired as a sergeant in the mid '40s. Mrs. E.G. Trout was frequently a hostess of the Bluebonnet Bridge Club in the '30s, entertaining its members at 1402 Seevers. 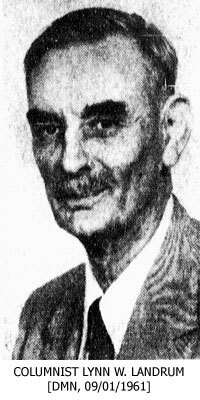 Joe C. Taylor, resident of 1417 Seevers until 1958, was a sales representative for Ferguson Brokerage Company and associate of The Borden Company. He was also a teacher for several years in schools in Fort Worth. Reginald M. Wilson resided at 1502 Seevers until 1967. Mr. Wilson was an active Dallas builder who developed the Sunset View residential addition in Oak Cliff in 1925. He once owned the Steel Creek Ranch in Morgan, Bosque County. He had been a rancher and farmer as well as real estate developer and had come to Texas in a covered wagon with his parents at the age of 10. Mrs. Velma Frances Naud lived at 1511 in the last years of her life. She died in 1931, at 76 years of age and was one of Oak Cliff's oldest citizens. Mrs. Naud, always interested in the civic and cultural advancement of Oak Cliff, was a poet of some renown. 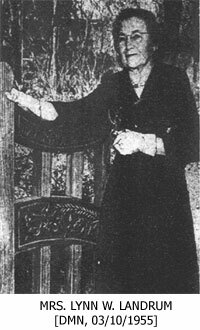 Mrs. Maud was a charter member of the Oak Cliff Society of Fine Arts and one of the leading members of the Bird and Nature Study Club of Dallas. ©2004-2014 Beckley Club.com. All rights reserved. All text, images, logos and information contained on official Beckley Club Estates Web sites are the intellectual property of Beckley Club.com unless otherwise registered and are protected under the U.S. Copyright Act 17 U.S.C. 101-810. Ownership of all other copywritten material remains with their respective owners and is used for information purposes only.